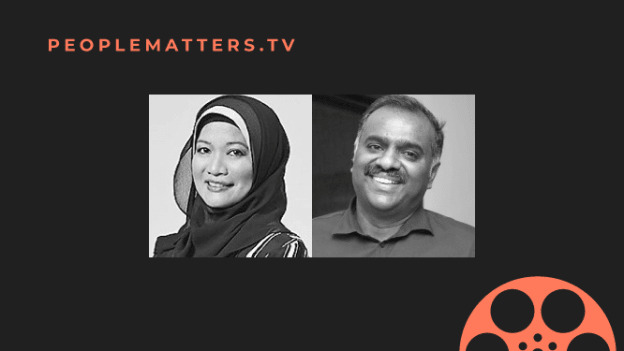 Panelists on PeopleMatters TV discussed the need for bridging a widening skills gap in the rapidly transforming nature of jobs, especially in the healthcare and agricultural sectors. About 1,800 open positions were available on LinkedIn that mentioned Machine Learning as an essential skill set. With digital transformation quickly changing the nature of jobs, new skills such as AI, robotics and machine learning are relevant in traditionally non-tech industries--healthcare, finance, translation, self-driving car etc. However, the fact of the matter is that these new skills are in short supply, according to a research study conducted by Indeed. Panelists on PeopleMatters TV discussed a few ways in which talent leaders and Learning & Development experts can help organizations bridge this tech skills gap in order to meet the business needs. The panelists included Hezzi Hamid, Head of Group HR Development at IOI Corporation Berhad and Jacob Jacob, Group CHRO at Columbia Asia Healthcare. Patient care is the core aspect of healthcare that is being reshaped by digital transformation. Most hospitals are focused on providing the best clinical services couple with the best service possible. “When you marry both clinical and service perspective together, you need to have a strategy on finding and capitalizing on those digitization skills,” said Jacob. Zooming in on the purpose of introducing new technology is crucial to know where the organization is lacking in skills. Perhaps, the focus is to make life easier for the patient or helping doctors make more effective and efficient decisions or helping the nursing staff keep strong and accurate records. For Hezzi Hamid, IOI Corporation Berhad specializes in using technology for the business of plantations both in terms of power plants and manufacturing initiatives. “The question is how do you make the plantation business digital?” Hamid said, adding that the key to digitization is for the plantation industry to get sufficient data in order to make efficient and relevant decisions. A major skills gap in plantation and agriculture-based companies can be seen when they embark upon a journey of going fully mechanized and digital. The need of the hour is a revamped skillset which can translate easily into collecting and analyzing relevant data to make data-informed decisions. “There’s a lot of tech required for supply chain management in the plantation industry that all employees need to know how to implement,” said Hamid. At the same time, designing a learning journey for the healthcare sector would mean connecting the various moving parts including doctors, nurses, technicians and support staff. The learning and development initiatives for the healthcare sector are tied to creating a digital pathway for the patients in order to make their lives easier from the time that they enter the hospital and get admitted for care till the moment that they leave. An organization-wide digital learning strategy is the solution to creating a holistic experience for patients in a way that they get the required care in a timely manner. Jacob said every hospital in the Columbia Healthcare umbrella had a learning and development team that spoke with doctors, nurses and technicians in each unit to understand their requirements from an L&D program. The aim was to get an understanding of the various skill sets that each set of professionals possess and find a way to develop a targeted skill-building exercise. “For example, what skills does a nurse in an operating theatre require as compared to a nurse in a general ward--the kind of training required for these two nurses will be very different,” said Jacob. “We need the AI, machine learning and digitization to give you information in real time so that you will be able to come up with the necessary actions promptly,” she said. In order to bridge the skills gap within an organization, it is vital for the technologists to sit down with those making the business decisions in order to embark upon an organizational journey of digital transformation.